Spanish football expert, Guillem Balague, has claimed that Real Madrid seem happy to sell Cristiano Ronaldo. 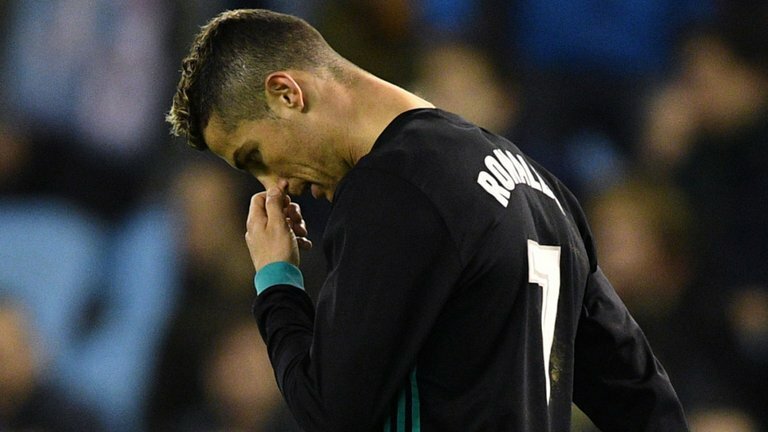 Ronaldo, who has scored only four times in LaLiga this season, is said to be angry that promises over a new contract have not been kept. The Portugal captain who will be 33 next month, wants to end his nine-year stat in Spain. Ronaldo has been routinely linked with a move back to Manchester United in the past years, but Balague says a deal might be difficult. “Ronaldo’s message is he wants to leave, and it appears Real Madrid will be willing to let him go. However, Real would love to see a fight between PSG and Man Utd, but the situation is more complicated than simply being interested in the player. “To add to a net annual salary demand of around £44m, Real would also demand around £89m for Ronaldo, which is an almighty expense for a player who would arrive aged 33. Ronaldo has netted 422 in 418 appearances since joining the Spanish giants from United in 2009.